Many years ago this time of year was always an exciting time to be a Saturn fan. While Saturn cars generally tended to be more practical in nature, the company would pull back the curtain a bit and show off its wild side in Las Vegas at the Specialty Equipment Market Association (SEMA) show. Saturn's show cars never disappointed, and owners sought out aftermarket suppliers for parts that would make their cars go faster, handle better, and look more aggressive. Reaction to Saturn's SEMA concepts was so great that the company eventually offered factory-tuned "Red Line" models. 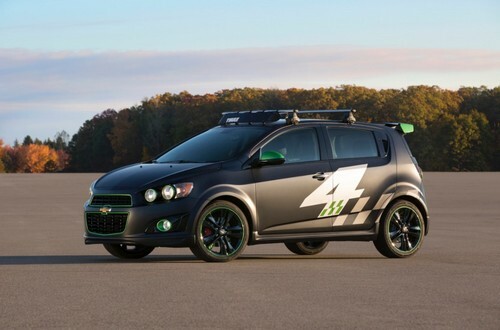 Today it's Chevrolet that carries the aftermarket/tuner banner for General Motors, and this year the company went all-out in an attempt to show off the potential of its latest vehicles. 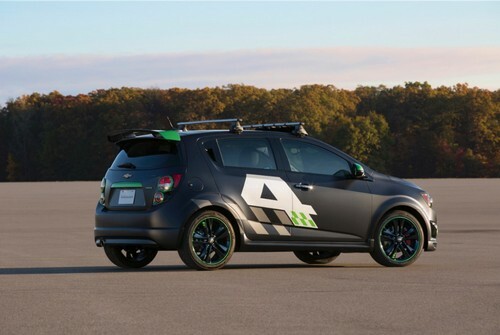 Head on over to GMbeat.com where we've been obsessively covering all things related to General Motors and SEMA. 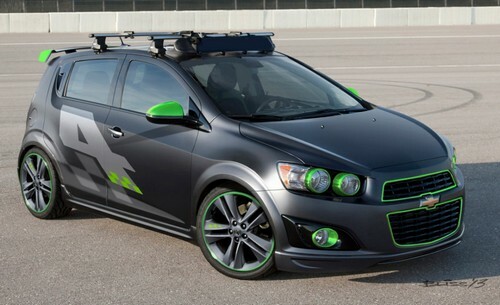 In the mean time, we hope you enjoy photos of Chevrolet's 2014 All-Activity Sonic concept. There are currently 4 users and 293 guests online.